Long Island Fence Company | Long Island's Best Fence Company! Exclusive Fence Company of Long Island is a premium fence installation company serving Nassau and Suffolk Counties of Long Island. As the owner, I have been in the fencing industry for 20 years, and started Exclusive on Long Island, over 14 years ago…. 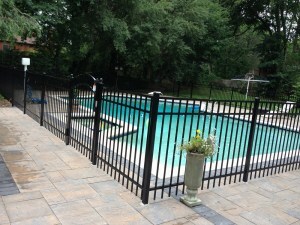 Exclusive Fence Company Inc, is a Long Island licensed and insured company, and services both residential and commercial Long Island properties. Whether you require a full-yard fence, landscape fences, pool fence, a deer fence or just your back yard enclosed, Exclusive Fence Company Inc is here for you. And, our Long Island installations are professionally and perfectly done..To learn which fence option is best for your give us a call. For some good education reading material head to The American fence Association and check out some of their resources on the various fence types. 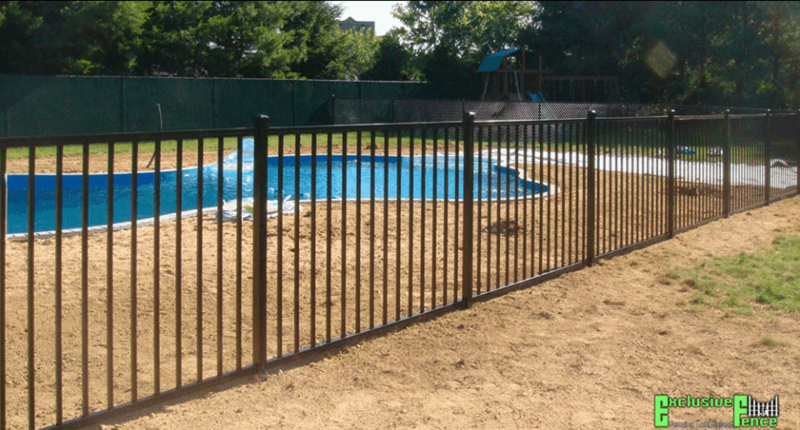 Since different applications require different types of fence, and each customer has their own taste and preferences in fence materials, Exclusive Fence Company of Long Island, New York, can provide you with many types of perimeter options. Whether you prefer the look of vinyl fence, aluminum, pvc fence, pvc railings or wood, Exclusive Fence Company Inc, has them all. We carry and install both colored vinyl fences and wood grain vinyl fences in a varied selection of railings and fence sections, as well as offering a variety of colors from which to choose; 35 shades to be exact. The wood grain in this vinyl is amazingly realistic, even under close scrutiny. 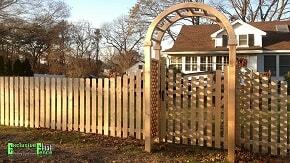 For the best fence company on Long Island, you simply can’t do better than Exclusive Fence. We have been serving our Long Island clients with top of the line fencing for more than fourteen years, and in that time we have continually improved our craft. Whatever type of fence you may prefer, we can surely bring yfaour vision to life with skill and speed. 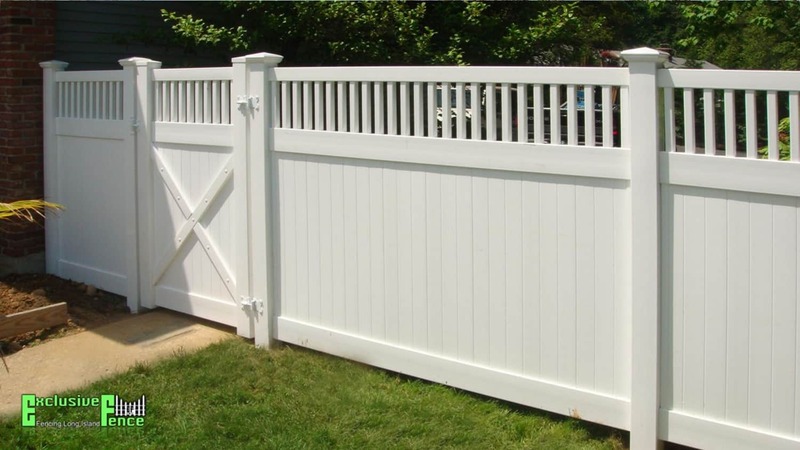 Exclusive Fence of Long Island installs all kinds of fences, including vinyl fencing, aluminum fences, wood fences, chain link fences, and several types of vinyl fences. If you intend to put up new fencing on your property, choose the Long Island fence company that combines professionalism with experience; choose Exclusive Fence. At Exclusive Fence of Long Island, we understand that every customer has their own preferences and will want different things from their fence. That’s why we offer a wide variety of fence materials and designs, and have the capability to modify your fence design in any way you might wish. There are many reasons to want a fence for your Long Island home, and making the right choice of company is the most important decision you will make in that process. The experience and skill of the Long Island fence company you choose will decide how your fence holds up over the years, as well as its cost and build quality. Exclusive Fence of Long Island has been installing fences with pride for more than fourteen years, and in that time we always strive to live up to our name with the highest quality fences, built to an exacting standard. Select the Long Island fence company that you can be sure will create the best perimeter possible, for a reasonable price. Exclusive Fence cares about our customers, because we understand that they are our most important business relationship. Because Exclusive Fence has a single proprietor, you can be sure that quality is always our first priority. We are a Long Island fence company that has served customers in both Nassau and Suffolk Counties, always maintaining the highest levels of quality for our valued customers. 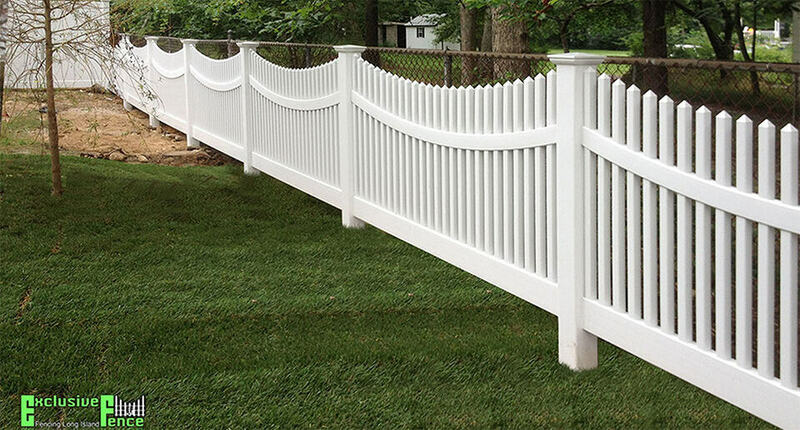 There are many examples of Exclusive Fence’s commitment to quality; for example, we only use the highest quality wood grain vinyl material for our realistic-looking wood vinyl fences. Our customers are often amazed that the vinyl fences we install are not actually wood, receiving all the great benefits of vinyl such as easy maintenance with the attractive look of wood. Conveniently Close to surrounding area of Patchogue and Shirley.